A fine large oil on canvas by Royal Society of British Artists and Royal Academy exhibitor Franks Brooks who was a British Canadian portrait and landscape artist. 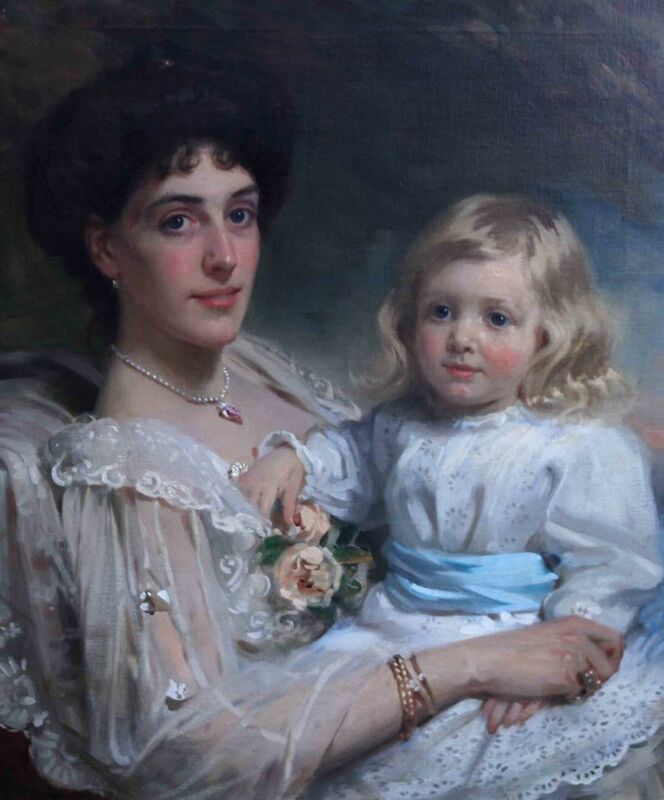 It depict a portrait of a mother and son and was painted in 1901. The Mother is Selina Louisa Grace eldest daughter of the Hon Charles Saunders Dundas and wife to R Harrington, married Sept 5th 1847. The young boy is Richard Dundas born Oct 16th 1900. 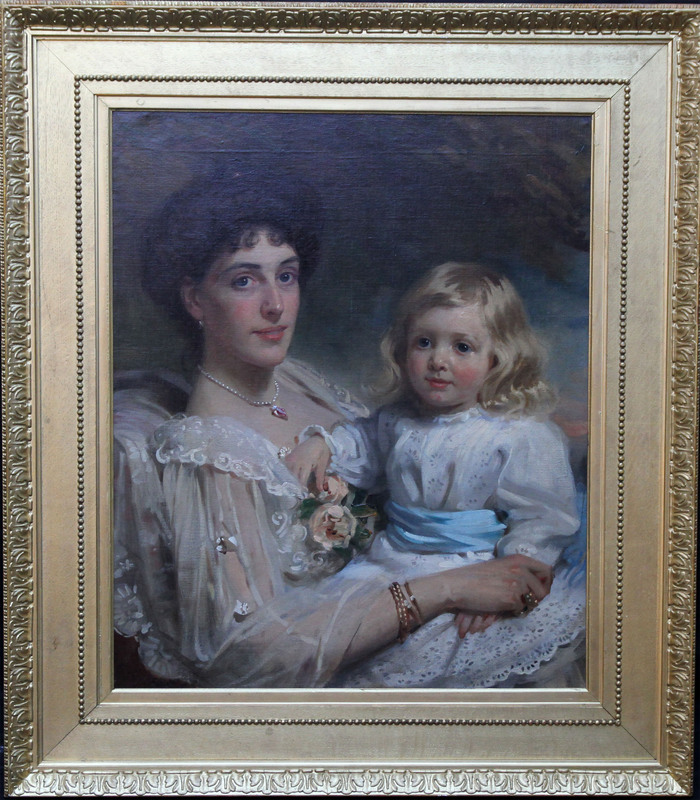 It is a fine period oil painting in excellent condition and in a beautiful gilded oak Watts frame. A fine example of Edwardian 20th century British portraiture. Signed upper left and dated. Franks Brooks (1854-1937) was a British Canadian portrait painter who exhibited at all the major British art institutions including The Royal Academy. His works are housed in many UK museums and galleries including The National Portrait gallery.